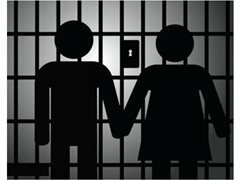 We are looking for BIG, COMPETITIVE, FUN couples to take part in a new and exciting challenging series putting your relationship to the ultimate test in prison to win a cash prize! If you and your partner are interested in finding out more, please get in touch ASAP! Please attach a photo of you and your partner with your application. We are looking for couples who are comfortable on camera and want to put their relationships to the ultimate test for a cash prize!